I call this my PETA Pal Chili. That's because except for the ground beef, diced chicken breast, sliced kielbasa, ground sausage, stew beef, cubed pork, ground veal and bacon...it's completely meatless. I can't take credit for the name though. It was named by a friend of mine. He came over a vegetarian and left a carnivore. He couldn't help himself. When this stuff gets cooking it's an olfactory delight. Certainly heaven smells like this. And it cooks for about 6 hours. Don't worry though. You're not going to have to stand over a hot stove or grill. This is cooked in a crockpot. All you have to do is load it up, leave it, stir it, and then eat it. You will, of course, reap the benefits of others 'thinking' you put a lot of effort into it. Very few things tasting this good require so little work. Of course it does. It has to. 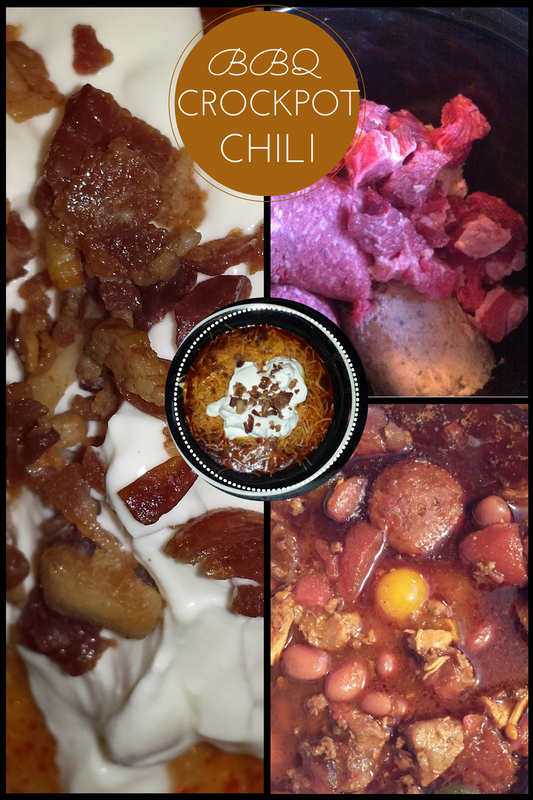 It's the easiest, best, and most filling chili in the world. It's got the best meats in the world. Leaving out bacon wouldn't be prudent. Not only that but +Sherrill Duce and +Maggie Unzueta probably wouldn't eat it without it. Both of them are bacon aficionados and it's a requirement for any dish that mentions them. If you came here looking for the Olive Garden Zuppa Toscana recipe... it's at the bottom. 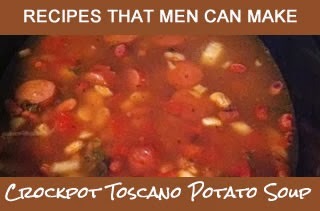 If you came here because you want to know how to make some potato soup everybody will love... read on. Like most people, I had some potatoes that were probably going to go bad in the next week or two. Since we are in the middle of what some people call an 'economic rccovery', my family can't really afford to let that happen. While Obama and his cronies (like Jim Marshall - Georgia Democrat) tell us to tighten OUR belt, the truth is they are giving themselves raises... so WE have to learn how to save money where ever we can. Making potato soup is just one of the ways we can save. One of the things I enjoy about cooking is mixing favorites dishes to come up with something different. I can't say that I invented tacos or turkey. 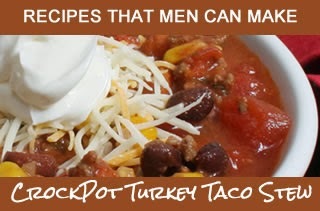 And yes, I know that I wasn't the first person to cook Turkey Taco Stew. But I can say that I haven't seen a recipe that explains how lazy you can be and still come out with a really great dish. What I mean by that is...all you do is throw this stuff in a crock pot and let it cook for about 5 or 6 hours. The hardest part of the recipe is not breaking it open and eating it in about 3 hours. It will still be OK, but if you let it cook long enough it will be fantastic. The turkey just shreds apart. Trust me, you'll want to cook it again. I decided I was going to spend some time in the kitchen today. The plan was to cut up some fruit I had laying around, and some I had purchased today. Cantelope, watermelon, strawberries, and peaches were on the agenda. When I opened the fridge… I noticed three big ole' pieces of corn that I had wrapped in tinfoil a few nights ago, and baked in the oven. They were still there because…well…. I forgot about them when the meal was served and had left them in the oven as a surprise for my wife later that night. Anyway, I decided I'd make something using them. 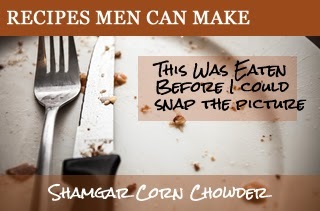 I spent about 10 minutes looking on the internet for corn chowder recipes, and decided I would make something up instead. It is…after all…the way I prefer to cook. So the ingredients and instructions are below. Soaking: Place beans in a large pot, cover with 2 quarts of water. Allow Beans to soak overnight, or at least 8 hours. After soaking, drain water, add 2 quarts of water. Bring beans to boil, reduce heat and simmer uncovered for 2 ½ hours. Melt butter in a skillet, and sauté onion, celery, carrots, garlic and chicken over medium heat approximately 10 minutes. Add chicken mixture, sliced sausage, and flavor packet to the beans. Simmer another 30 minutes. Salt and pepper to taste. Place rinsed beans in a pot with 3 quarts of water. Bring to a rapid boil. Reduce heat, cover and continue boiling 60-70 minutes. Stir occasionally to prevent sticking. After 60 minutes, add ingredients. Simmer for 30-45 minutes. Add contents of flavor packet 1 to 2 minutes before cooking is completed. Salt and pepper to taste. Note: Dry beans are a raw agricultural product. Although we carefully clean these beans, stones and debris may be present. Sort and rinse beans prior to cooking. Depending on water hardness, cooking time may need to be increased. According to some people, men can't tell time, can't follow directions and can't cook. That's simply not true. The owner and author of the site, me.. Stan Bush can cook. This site is simply a way for me to keep up with my recipes without putting it into my other 10 or so blogs. Everything is Google-ized, so it's connected to all my other stuff. I suggests you try the BBQ. This site gets it's name from road trips when I was in my 20's. By the time we would head home...all we could afford was a loaf of bread and some potato chips.